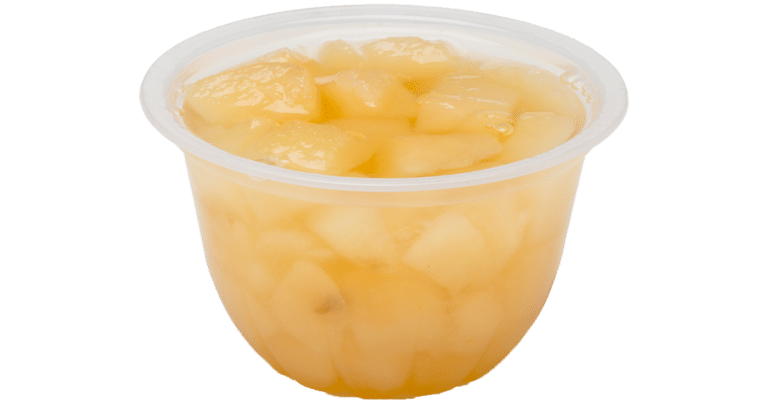 Diced pears packed in water and artificially sweetened are packed in 3.8 ounce plastic bowls. It is a non-standardized product. Ascorbic acid is added to protect color.